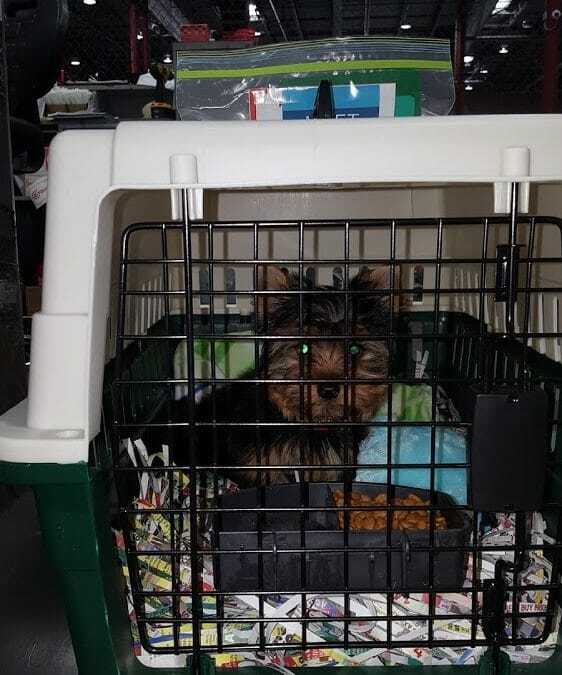 Adorable Female Yorkie Puppy DOB $1850. 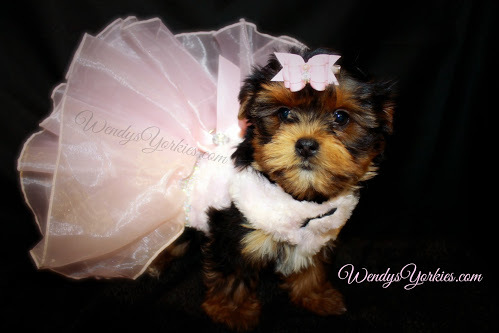 Teacup Female Yorkie DOB 06-22-17 She is beautiful, Thick short, cobby body. Fantastic hair! Extremely fun and outgoing personality! Loves to play and show off. Estimated to be 3 lbs as an adult $4550. 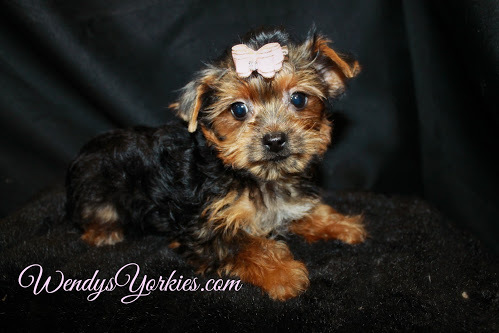 Teacup Female Yorkie Puppy DOB 06-22-17 Look at her sweet little face! Beautiful all the way around, estimated adult weight 3 to 3 1/2 lbs She is a spit fire, never a dull moment with her around ♥ $3550. 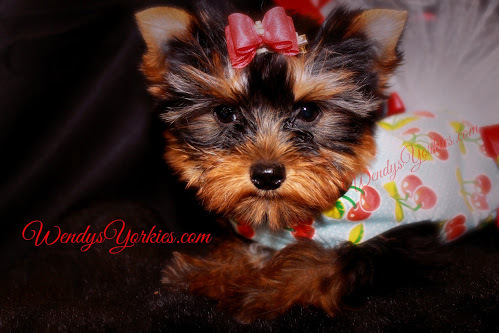 Tiny Teacup Female Yorkie Puppy DOB 07-04-17 Look at her sweet little face! Beautiful all the way around, estimated adult weight 3 lbs Tiny delicate features $3250.